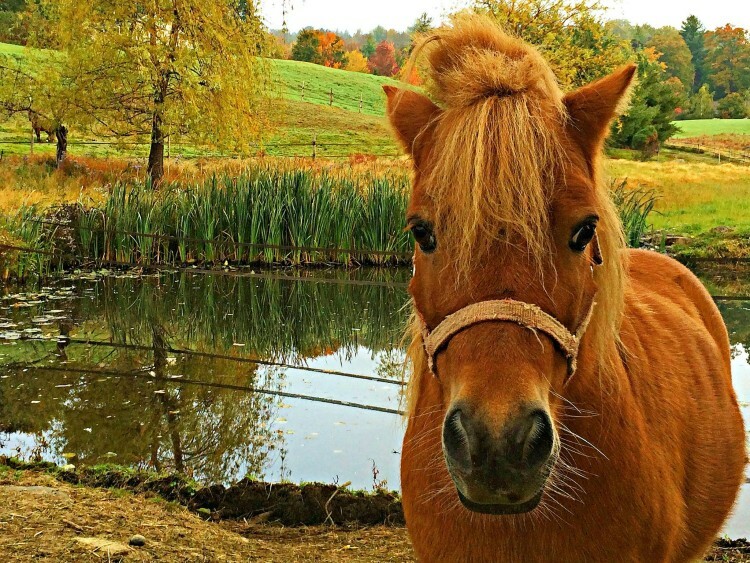 A chubby little munchkin I met in Stowe. 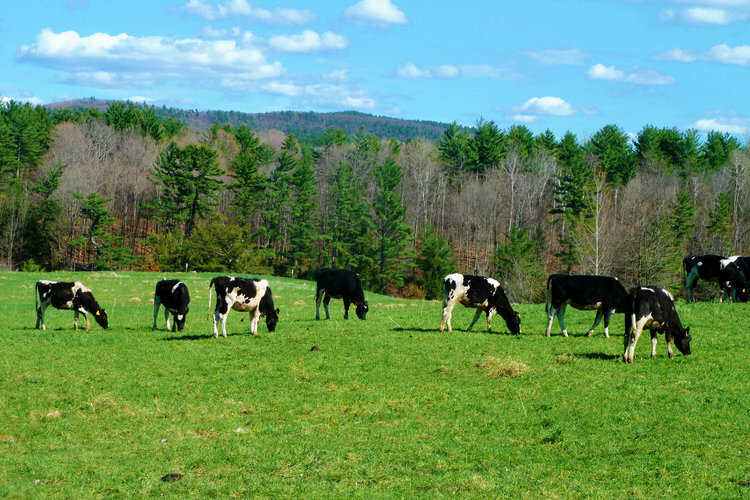 Our Vermont cows! Taken on a scenic country road in Milton. 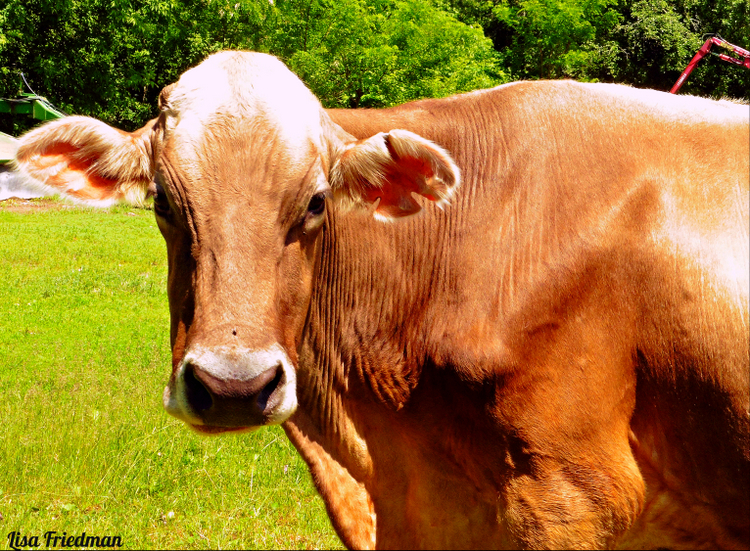 I love looking into the eyes of this cow whose photo was taken during the 60 mile Tour de Heifer Bicycle Tour in Brattleboro. 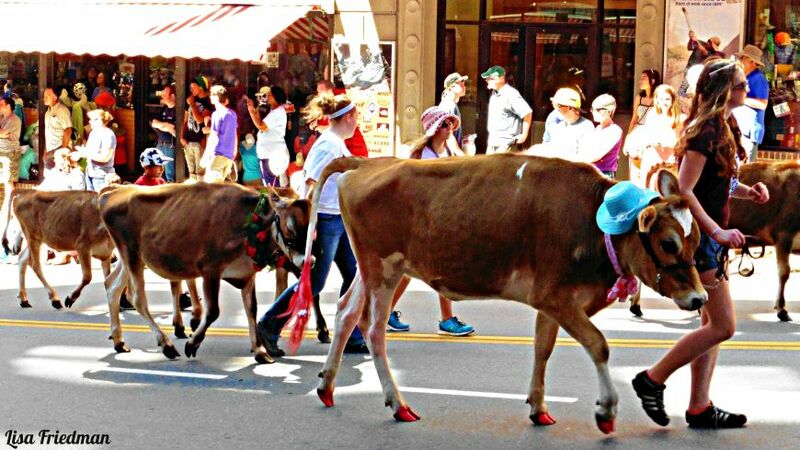 Notice the painted toe nails during the Strolling of the Heifers cow parade in Brattleboro. This event draws 50,000 spectators for the forty five minute long parade which features marching bands, acrobats, stunt people and, of course, the infamous heifers. There were even some alpacas and baby billy goats who marched in the parade. There is a massive fair after the parade. 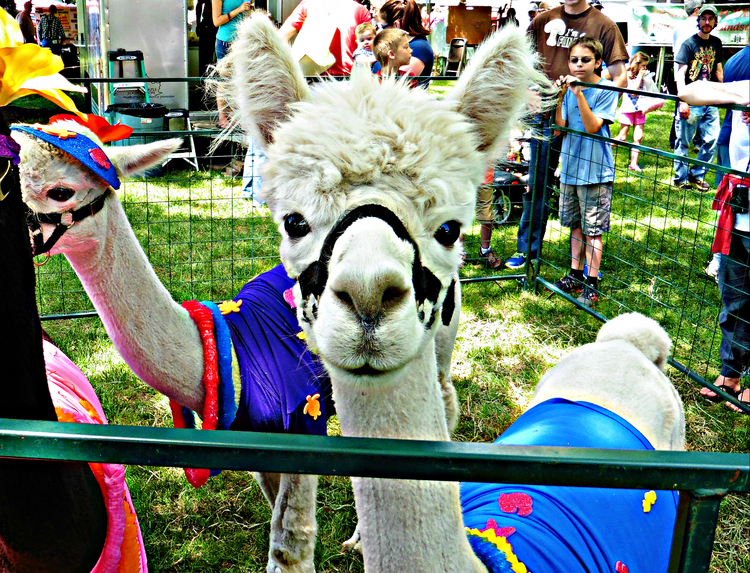 Some cute alpacas who were dressed up for and participated in the Strolling of the Heifers parade. 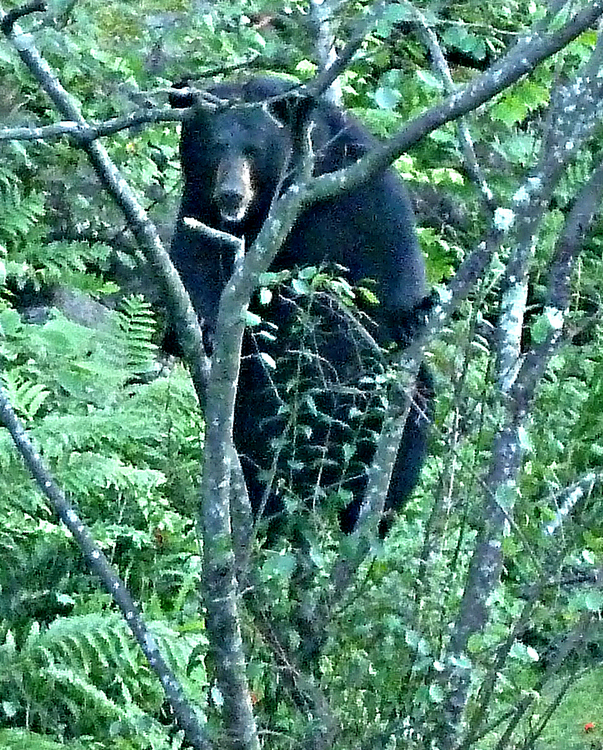 My first bear sighting! 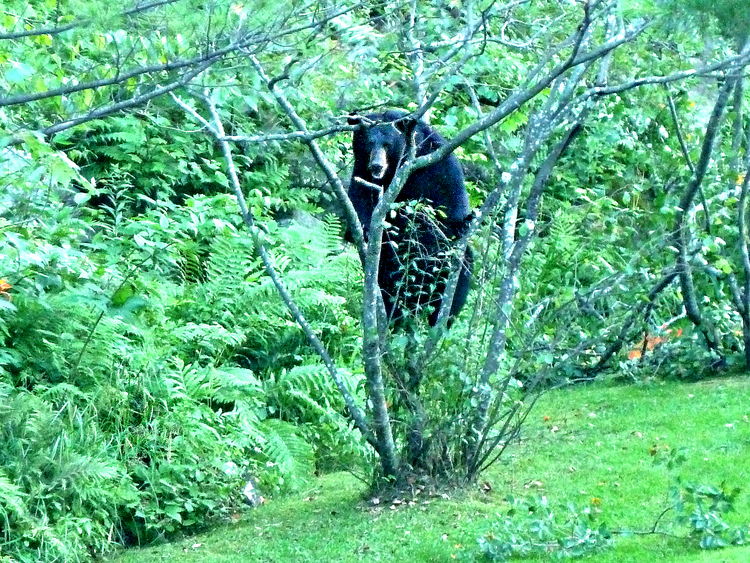 This bear was about a seven minute walk from my home. 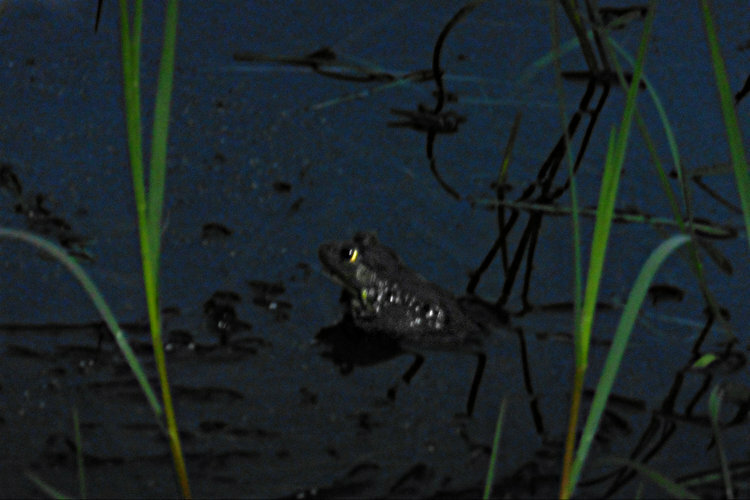 I belly crawled to get close enough to take a few pictures before he noticed me and climbed a small tree. I watched him for about ten minutes before he wandered away. How exciting! You can read the full story here. It sure was a thrill seeing a wild bear! 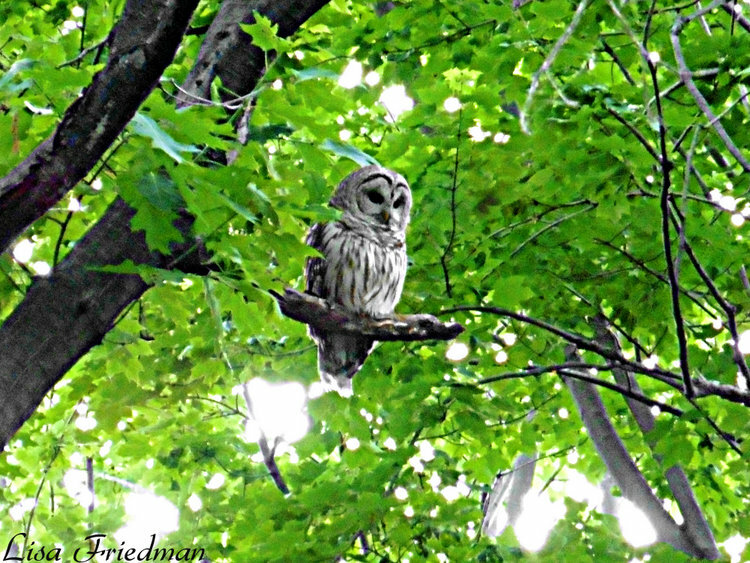 I was thrilled to get this photograph of a barred owl while relaxing on the patio of a friend’s home in Colchester. 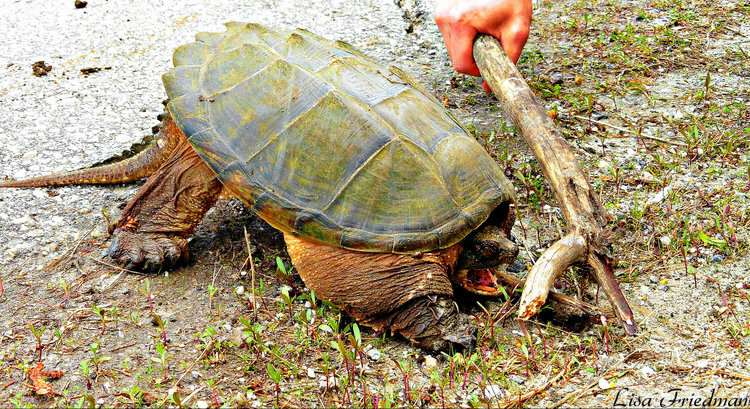 I helped to coax this large snapping turtle out of the road on Route 100. He sure moved fast to chase the stick. Maybe he was half dog. A muddy frog enjoying the muck. I like his big eyes!